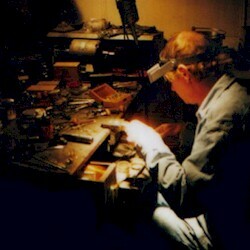 Gary has been designing and creating jewelry for over 25 years. His work primarily deals with a fascination for form. 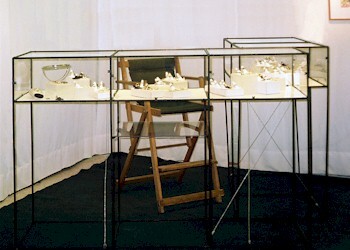 He creates using "old world" methods and techniques. He is involved in every step of the process, from start to finish. Jon Niemann does the pave' setting. Tim Kautsch does the stone inlay.